To my pleasant surprise I managed to complete 25 sewing and knitting projects in 2016. As most of my crafting takes place in short increments of time, especially now that my daughter no longer naps during the day, I often feel like I get very little done. Well, apparently just spending half an hour here and there pays off and I would be perfectly satisfied if I were to complete the same number of garments in 2017. Made and photographed in the summer of 2016 but left unblogged: a wearable muslin for the Butterick 5895 tie-front top. Admittedly, I have mostly been sewing separates with few challenging details, including a couple of wearable muslins. I made a total of seven tops: four of woven fabrics and three of knits. While I enjoy using my serger, I am still struggling with finishing hems and necklines on knit garments. My stash contains plenty of knit fabrics, so I should be able to get some practise this year. 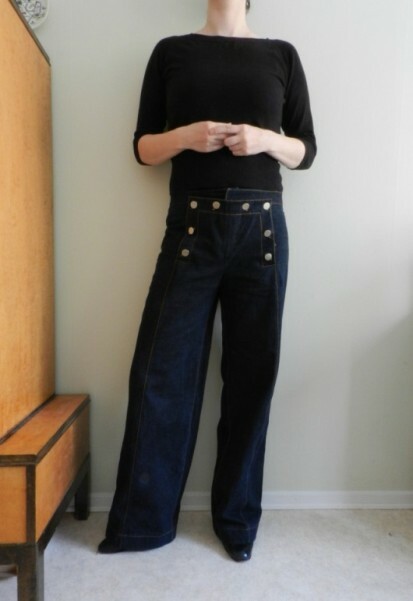 Still very happy with these sailor pants based on a pattern from Burda 02/2005. They are much softer and drapier now. My most worn items are probably the black velvet pants and sailor jeans. 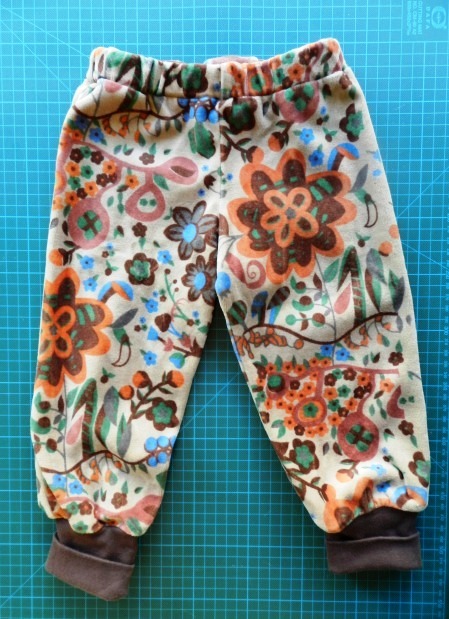 It was a revelation to me that it is possible to sew functioning pants without horrible fitting or construction problems. Admittedly, I did have trouble getting the fit right on some unblogged cigarette pants and denim shorts. In addition, I made three skirts and two dresses, but they did not get as much wear as the tops and pants. A previously unblogged dress for my daughter. 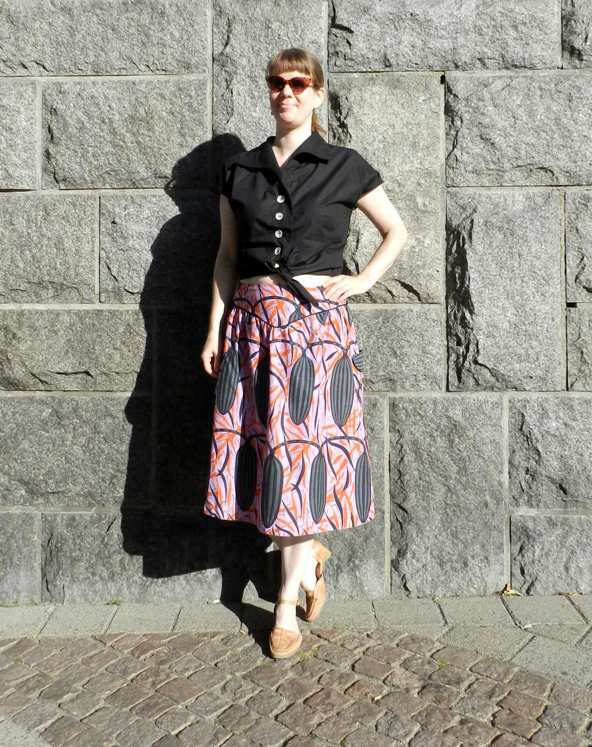 Fabric by Da Viva, pattern by Stoff & Stil. I hope it still fits her this summer, it is such a happy dress! 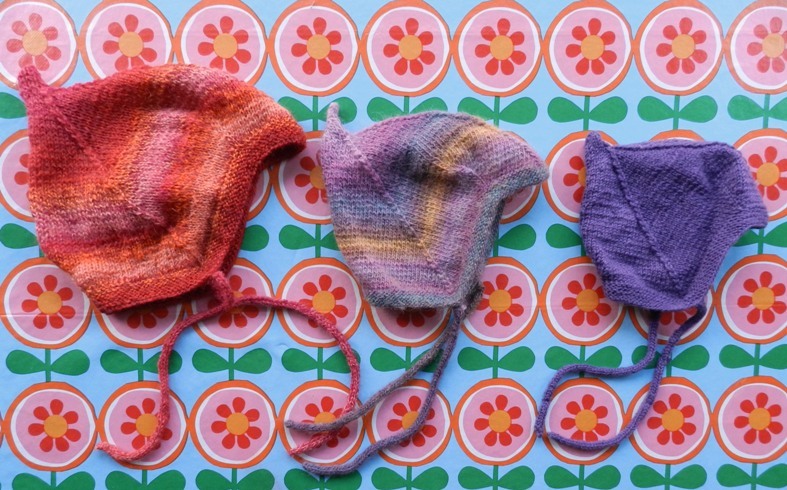 As far as I recall, I sewed seven garments for my daughter and nieces: two dresses, one jumper, two blouses, one cardigan and – much to my surprise – only one pair of leggings. Most projects did not make it to the blog. To be honest, I do not find children’s clothes very interesting to write or read about myself. Nevertheless, it is nice to have a picture to remember them by once they are given away or have worn out. 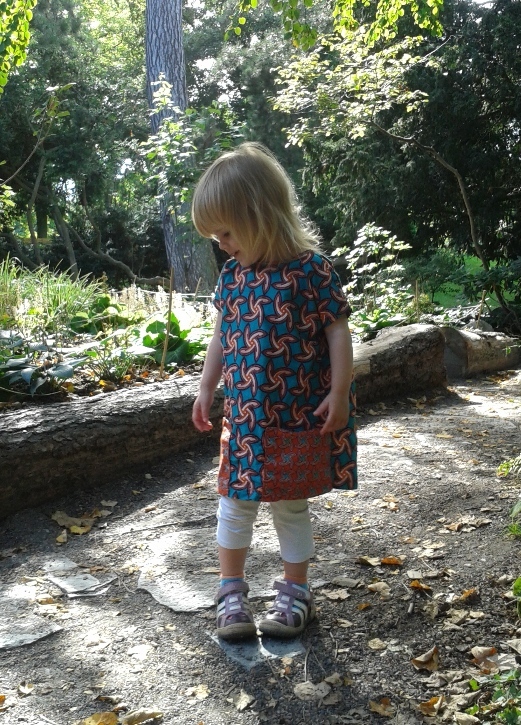 I still want to make my daughter a coat or jacket, but intend to keep it simple otherwise and just sew leggings, gathered rectangle skirts and tent dresses (the stuff that looks better on a toddler than on me). 2016’s most popular knitting book. I finished three small knitting projects: a small scarf for myself and a pair of mittens and a sweater for my daughter (not blogged yet). 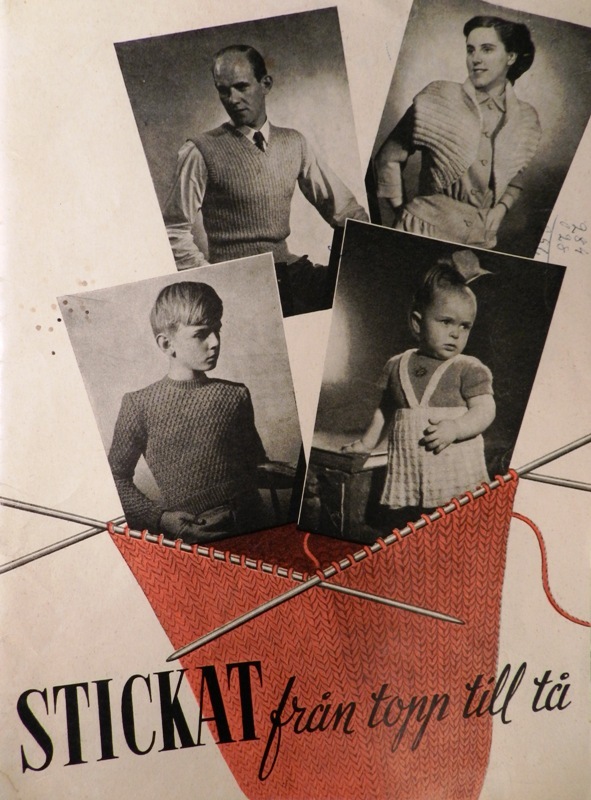 Funnily, all three projects are based on patterns in the same knitting book from 1948, which means that I actually made eight garments/accessories using vintage patterns instead of the five I pledged to make. 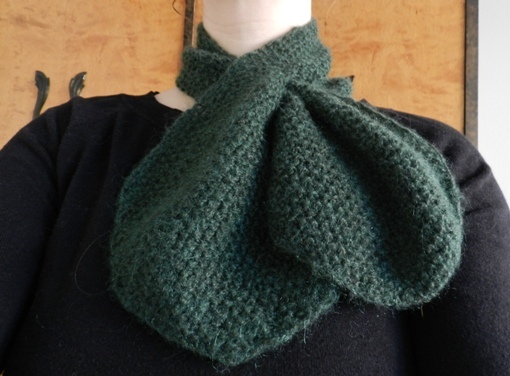 I do not have any specific knitting plans and as I only knit while watching television or movies, I will likely continue knitting smaller things from stashed yarn (already finished a slouchy hat!). 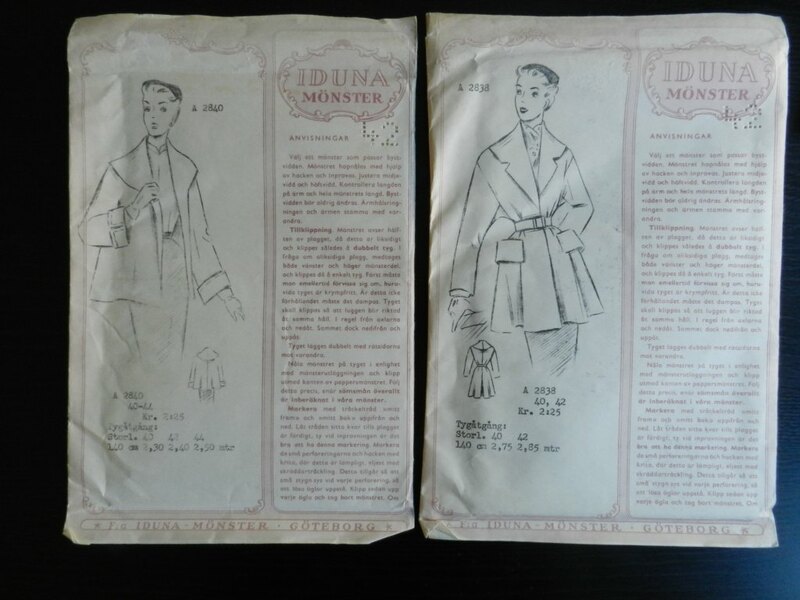 Two unopened vintage coat patterns by Iduna Mönster, potential 2017 vintage pledge items. One of last year’s resolutions was to finish projects faster and complete them before moving onto the next project. The year began with finishing five ongoing projects/UFOs and I took similar breaks from starting new projects in September and November when I felt overwhelmed by work and the amount of half-finished garments in my cupboard. I still rarely sew an item in one go and thus tend to have a number of projects in various stages of completion lying around, but I have come to accept that this is just how I roll. The main thing is not to accumulate too many unfinished objects. That having said, I still have a number of pre-blog UFOs that I would like to tackle in 2017. Two pieces of woolen fabrics or wool-blends in my stash, both about 1.5m in length. The one to the left was bought in 2016, the one to the right many years ago. The focus on separates and relatively fast projects, which was directed by my fear of not finishing things in a timely manner, has left some holes in my wardrobe. These holes mainly concern outerwear, warm toppers and lined dresses and skirts. The coming year, however, I plan on finding a better balance between simple, fast projects and garments that require more time, attention and learning new skills. I am also interested in trying out new types of items like bags or underwear, or learn a new craft like crochet, embroidery or cross-stitch. 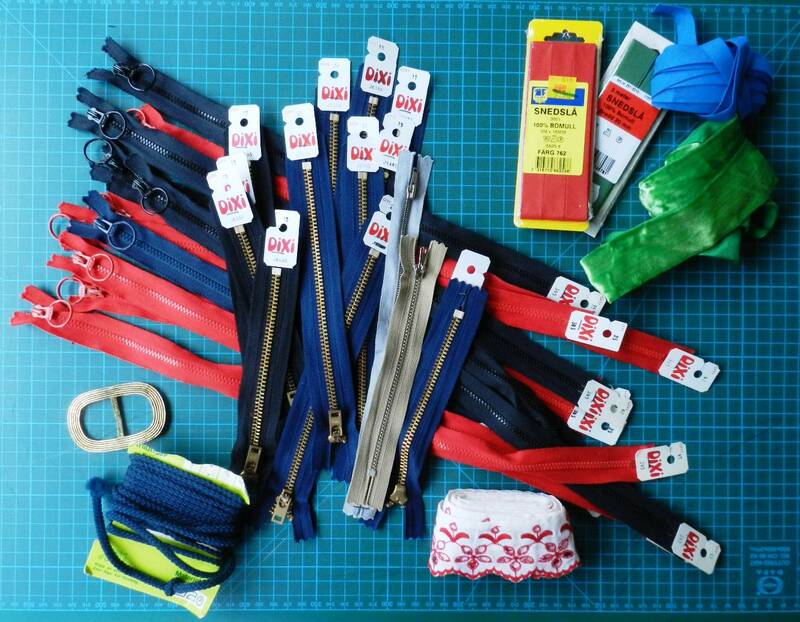 I have been saving the hardware of worn-out bags for years now and inherited my great-aunts stash of embroidery floss ages ago, so no investments in new tools and materials are necessary. 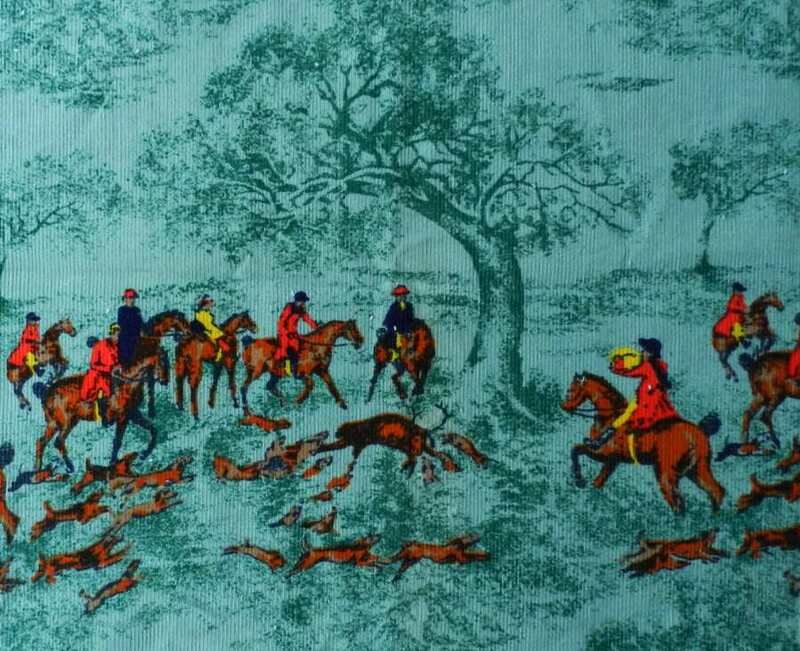 One of my favorite (and at 1 EUR cheapest) thrift store finds of 2016: vintage needlecord with hunting scenes (1.75m x 90cm). Another one of last year’s resolution was to only buy second hand fabric. Well, I did not quite succeed at that. 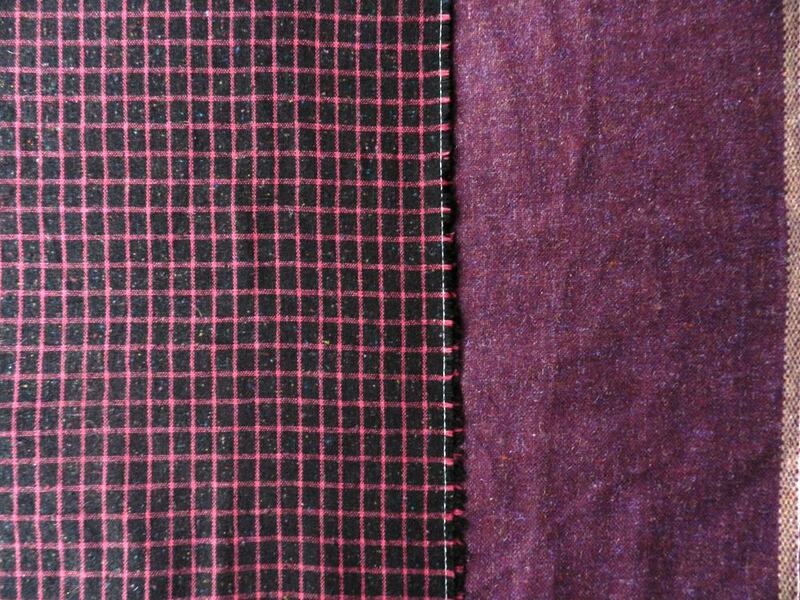 In July, I decided to order black and purple velveteen online, as finding pants fabrics with some stretch second hand proved to be difficult and I wanted to make a new pair before autumn. Of course, it took much longer to get around to use these fabrics, but expect to see another pair of black velveteen pants popping up soon. 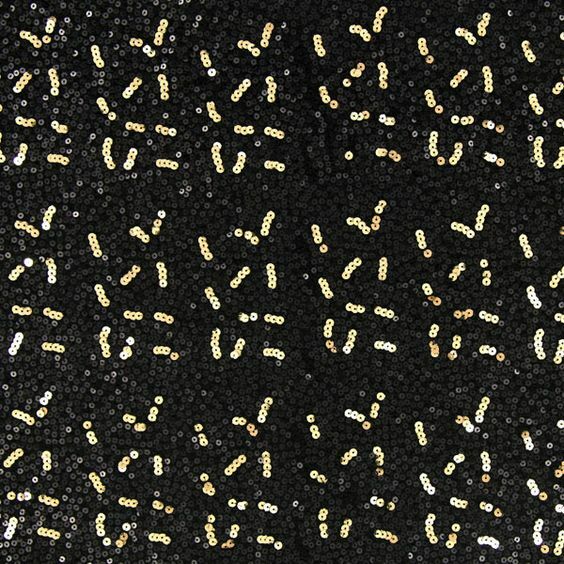 Anyways, I do not feel too guilty about these two pieces of fabric, but as collateral damage I am now the reluctant owner of 2m of highly synthetic black stretchy bouclé covered in gold sequins. Fortunately, it was not expensive, but I have no idea what to do with it and it is probably a pain to sew. Fabric sin of the year (image source: tyg.se). I did not keep track of how much fabric I used, but I am pretty sure I brought in more than I sewed. This year, I aim at striking a better balance, as this apartment and our storage space in the basement are already overflowing with fabric. Making more warm clothes and outerwear with (inter)linings should help with the stash-busting. My unused Burdastyle 08/2011. Some great styles in this issue, time to pick one. As for patterns, I did not buy as many as in 2015, but definitely more than I needed. Least problematic are the two Burdastyle magazines (autumn issues rule! 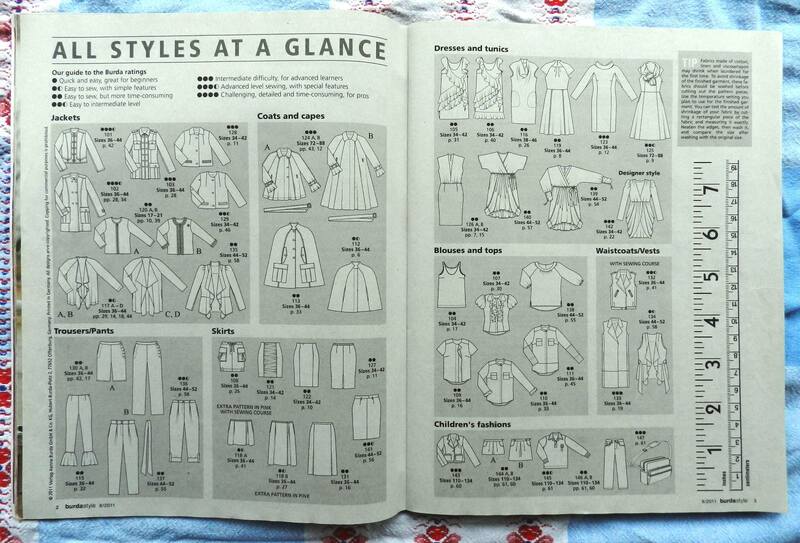 ), because they tend to age well (I still sew from their older magazines), but I have too many unused expensive Big Four patterns lying around and even more less expensive vintage patterns in the wrong size or style. Patterns that likely will never be sewn will be put up on Tradera or Etsy later this year. A selection of the notions found at thrift stores over the course of the past year. I really like the vintage ringed zippers and am a big fan of old-fashioned cotton bias tape. In 2016, I spent about 1300 SEK / 137 EUR / 146 USD on fabric, pretty reasonable for the amount and quality of fabric that entered the stash (and let’s not forget that I live in Sweden where fabric is rather expensive). Moreover, sewing is my number one hobby and prevents me from buying new ready to wear clothes. However, as long as I do not have a regular income I cannot justify spending money on superfluous sewing supplies and I am afraid to even calculate how much I spent on patterns and notions in 2016… This year I will keep track of all sewing-related expenses. A candidate for refashioning. 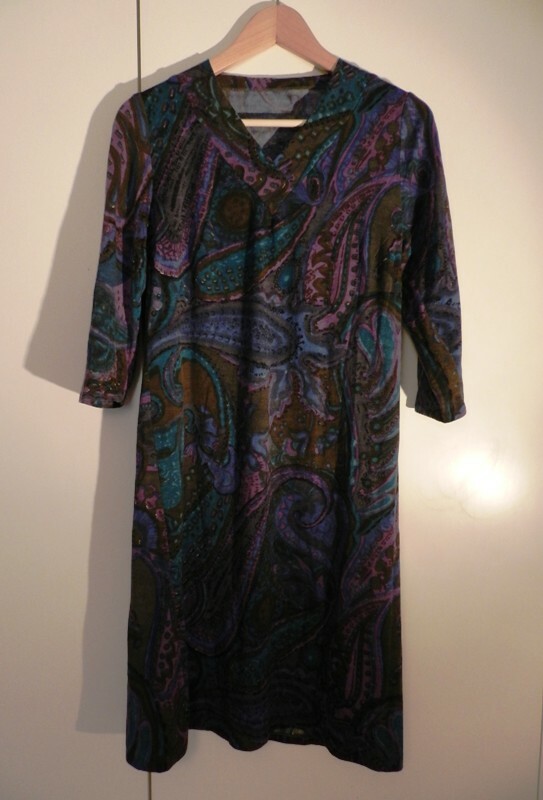 I like the fabric and neckline but not the fit and length, so it might be more wearable as a sweater. The overaching theme of 2017 could be using what I have and that also includes some make do and mend. During a holiday cleaning session I discovered a shocking amount of clothes that do not get any wear. The garments that are in good condition but the wrong colour/style/fabric have been set aside to be donated. Others just need small things fixed, like waistbands or hemlines, but some are candidates for total make overs. Well, that was a long post and I did not even mention improving my fitting and drafting skills! Oh, I guess I just did, so goodnight! Yes, as many other people who sew, I love to buy fabrics and notions and while I am pretty happy about being able to thrift most things, they still end up taking a lot of space! I find it harder to resist stuff at thrift stores, because it is often cheaper and next time it probably won’t be there.